When Lydia Cunningham left her husband, John and moved to Atlanta with their sons ten years ago, she never expected to return to her North Carolina home, at least not while the controlling and verbally abusive mother-in-law who had made her life unbearable still lived. 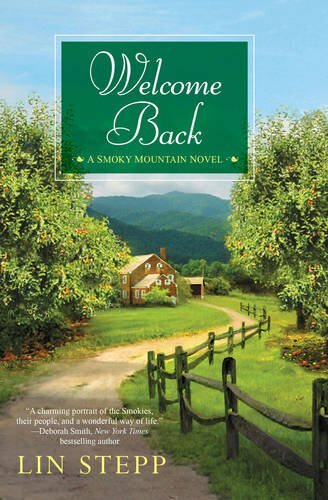 But now, with the woman dead and buried and Lydia's sons grown and on their own, a job offer at her alma mater is taking Lydia back to her beloved Smoky Mountains; back to the husband who let her go and the daughter who chose to stay with him on the family farm when her mother and brothers left. Hoping to repair her strained relationship with her daughter and build one with the grandsons to whom she is a stranger, Lydia accepts her daughter's offer to rent Hill House, the small country home where she and John spent the early - and happiest - years of their marriage before moving into Main House with his mother. She knows being on the farm increases the likelihood of seeing John but she never expects the move to open the door to the possibility of a better, stronger relationship with the husband who had not stood up for her nor emotionally supported her while Lydia withered under his mother's constant verbal abuse. There are a lot of hurts to be healed here and a dysfunctional family history that, when finally confronted, will cast a new light on how John reacted to his mother's actions before Lydia left. With understanding, compromise, and, most importantly, forgiveness, will this couple who never lost the love they carry in their hearts for one another find a way to learn from past mistakes, put the hurt behind them, mend their marriage - and their family - and begin again? Lydia's spirit finally grew peaceful on the quiet parkway. At Waterrock Knob she stopped her car to look out over the rolling Blue Ridge mountain ranges and felt a sudden clutch at her heart. This is home, she thought with a sigh. This beautiful part of the North Carolina mountains. I've never been a city girl at heart - I know that - and Atlanta, despite its cultural wonders and attractions, was only a stopover place for me. Here's where I belong, where the air is crisp and clear and where the sweep of green forested hillsides fills the senses. I used to live in this region and the above quote from Welcome Back perfectly describes how I would feel each time I returned home and those majestic mountains came into view. There's something very special about them. As Stepp says, "they fill the senses," and they also touch the soul. Stepp's writing is smooth and easy, bringing the reader into the hearts of her characters, showing (not telling) us their intersecting journey from multiple, individual perspectives. Her characters make mistakes, they stumble. They are complex, flawed, and real and while that makes me angry with them at times and sympathetic to them at others, it also makes me appreciate and enjoy their journey all the more. I'll be returning for more of Lin Stepp's engaging and heartwarming stories. Do you enjoy reunion stories? Have you read any of Lin Stepp's novels? Have you visited the Smoky Mountains? Tell me about your trip! I do love reunion stories and would love to win. A well written reunion book can be a pleasure to read. So many tangled emotions to unwind ! I've only visited North Carolina once. We stayed at the Pinehurst Golf resort. It was lovely and the views as well as the southern hospitality could not be beat. I agree, and there are many tangled emotions to unwind in this one! Glad you enjoyed your visit to my fair state. I hope you'll have the opportunity to visit western North Carolina one day. It's unbelievably beautiful. It's only a 4.5 hour drive from (eastern) Pinehurst to (western) Maggie Valley but the two areas are so different you'd think you'd been driving for four days! The angst of renewing a relationship has to be well -written because I still like HEAs, but it sounds like, from your review, PJ, that Stepp is able to do thus in her story. I was in the Smokeys last summer... Beautiful mountains and landscape!! Hope you enjoyed your visit, Deb! I enjoy reunion stories since they are memorable and emotional. I haven't been to the Smokeys. I like reunion stories too. Reunion stories are meaningful and classic. Love reunion stories. Things change but some things never do. Complex emotions are involved. I've never been the Smoky Mountains but I have been to the Rockies. When they say purple mountain majesty, you can see the different shades. It is amazing. Lots of complex emotions in this one! I have been through the Smokey Mountains many times. It is absolutely beautiful. I would LOVE to spend some time there in the fall. Reunion stories always make me cry. So much emotion, both good and bad. But when it is well written and ends with a HEA, pure gold. It's glorious in the fall. Deep blue sky and a breathtaking array of leaf colors. This I must read - I love the smokies - traveling through in my childhood they hold so many memories. I look forward to this read and discovering a new author to follow. Hope you enjoy it, Judi! B&N has cut back so much on their in-store inventory. It's available online if you can't find it in the store. It's been ages since I visited the Smokies! I lived in Georgia for about 15 years while growing up and we often took vacations to different parts of the range. It's beautiful, isn't it? North Georgia, Western North Carolina, and East Tennessee all have glorious mountain ranges! I love reunion stories! We drove through the Great Smoky Mountains on our big trip 1 1/2 years ago. Just as we were exiting the park, we came upon a huge herd of deer. Cars were parked along the highway and everyone was out of their cars with their cameras. It was awesome! We were gone about 3 1/2 weeks driving all over up north (we're from Texas, so nearly everything is north of us). This book sounds great! How cool that you happened upon the deer! I love driving through the park. So many gorgeous vistas.